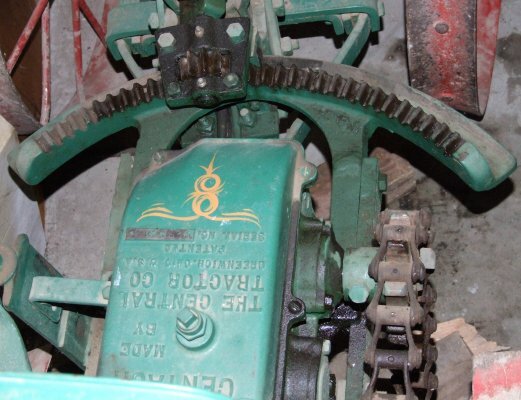 Description A green Centaur Motor Plough - serial number 928350 - made by the Central Tractor company of Ohio, U.S.A. The driver sits in the seat at the rear (image 2) and the steering pivots in the middle. Motor ploughs are an American invention, although several manufacturers made similar vehicles. This plough was restored by L.H. 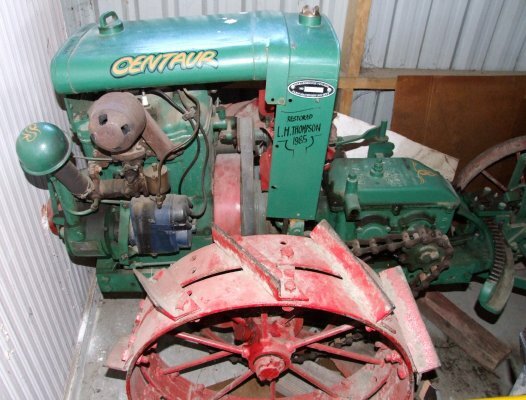 Thompson in 1985 and donated to Vintage Farm Machinery Society.